Bluegrass Special announces the release of their May 2009 edition. 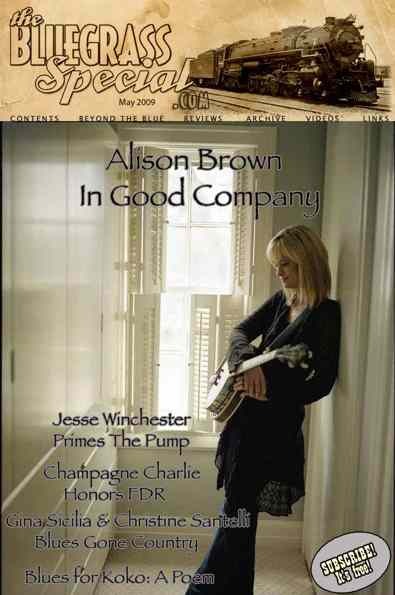 This month features Alison Brown, the banjo virtuoso and founder of Compass Records. Alison is the first woman, and one of only two ever, to win the IBMA’s Banjo Player of the Year Award. This is a special occasion for Brown and Compass Records, as the label marks its 15th year of adventurous, genre-bending musical offerings that take roots music to another level entirely. Visit – Bluegrass Special May 2009.